I can’t make this stuff up. And, I figure, if it happened to me it could happen to you. As a public servant, I feel compelled to tell you this story of horror. I am sitting in a darkened classroom listening to Mrs. K, Hugh’s 3rd grade teacher, talk about testing, themes for the year, reading lists, and wishing I were back in school. Can you imagine learning in a place that has a smart board, bring your technology to school day, a library loaded with books, and a climbing wall?! Suddenly, my silenced phone starts vibrating. I get a text from one of my 14 year old twins. It reads: Mom, come home. There’s a bat in the house. Me: Really? I’ll be home in the next 30 minutes. Take the dogs outside for a walk. Teen: No way. It is fast and black and scary. Me: Seriously, just go outside. Teen: The three of us are in your office. We are not coming out. Me (snickering and staring at the phone): K. The presentation is almost over. Teen: You’ve heard all of this before! Come home! 3K Parent: Do you need to go home? Me (still snickering): Yea, read this text! 3K Parent: I’ll tell Mrs. K what happened! Let me know if you need help over there. I walk into the garage and open the door to the house. The office door is shut and my usually anxious dog that doesn’t poop without double and triple checking the area, is happily crunching food on the family room carpet. Why do they take a mouthful and deposit it on the area hardest to clean before indulging in each individual kibble? Meanwhile, a fast, black, and indeed scary bat is doing laps in a figure eight pattern through my family room and kitchen. Not wanting to tangle with this hideous creature, I call the three boys from the office and we convene in the hallway. “See?” says my eldest. “We are NOT going out there”. I decide to go back into the garage and arm us all with tennis rackets. One twin is quick to google “getting a bat out of the house”. This is a really disturbing article for a lot of reasons. http://www.getbatsout.com/bat-in-my-house/. Mostly because a bat in the house almost always means there are really MULTIPLE bats that have made a colony in your attic, walls, or eaves. Perfect. We decide to open the back door and turn on all of the indoor lights in case the “lost and disoriented bat” senses the fresh outdoor air. My oblivious pets continue to munch their kibble despite the obvious chaos. The kids retreat with their rackets and as yet uneaten dinner to the office after suggesting, as per the website, that I get a towel too. The bat has now landed on the brick above the fireplace mantle and seems happy to dangle there. I call the kids back out, hoping for back up and more information provided by Dr. Google. It seems that bats have a difficult time taking flight from the ground. If you can knock the bat to the ground with a broom or towel, it will be slower moving and vulnerable. Usually a bat on the ground will try and crawl (very slowly) to a wall, then climb up the wall. Its ideal way to take flight is to drop from its perch (or my brick fireplace) a few feet to gain airspeed. As my mantle is covered in framed family pictures and sentimental tchotchkes, I decide to start throwing wadded up paper towels at the bat, hoping it will fall. This went very poorly, both because of my aim and the decidedly non-aerodynamic nature of wadded up paper towels. The smartest of my three kids (I’m not naming names here…) announces, “This is what I have been training my whole life for “and runs to the basement. He returns with the heavy Nerf artillery and passes weapons to his brothers. They commence firing at the bat and after multiple near hits, the bat takes a flying disc to its torso and drops onto the mantle. The kids run screaming to the office. The dog deposits another mouthful of food onto the carpet. I duck and cover, using my tennis racket as a shield, and head back into the hallway between the family room and the kitchen. After a few moments, the bat does indeed scramble back up the brick and takes flight, resuming its figure eight pattern. As the most senior McIntyre but alas, not the most coordinated, I decide the bat needs a swift racket to the head since it apparently isn’t leaving anytime soon. Bats are a protected species, dispersing seeds, pollinating flowers, and controlling insect populations. This is all lost on me and I take several swipes as the bat passes through the hallway. More concerned about the fast, ugly creature, capable of transmitting rabies, SARS, and (gasp) Ebola, I lurch back in to the hall each time I come close. Finally, contact. I overhand serve the bat, which lands on the kitchen table. Thinking I have killed the bat and we will now need to submit it to animal control for Rabies testing, I call for the kids. Wisely, I place the racket over the bat on the table. We watch the stilled bat for a moment before it starts to squirm and squeak. Still NOTHING from the dogs but screams from the kids. My eldest runs to grab a beach towel at my command. Bats, it appears, can go boneless, and this one starts to wriggle its way under the 1 cm space between the racket edge and the wooden table. Not a moment too soon, I throw the towel over the bat/racket combo and dash the squealing beast out the front door and throw the whole lot onto the lawn. We stand in the open doorway watching and waiting. A few moments later, the flying rat crawls out from under the towel and flies away. This story ended well. My mother was appalled that I didn’t get the rabies prophylactic vaccine series but I felt pretty confident that neither my kids nor I were bitten and exposed. The dogs, sensing opportunity, ate the kids’ dinner off of the plates they left in the office while we fought for our lives. My husband got a big chuckle when he arrived home not 10 minutes later. I still don’t find the humor in the situation and might have post-traumatic bat disorder. My kids had the presence of mind to snap a few pictures with their phones to amuse their friends. The biggest surprise (after finding the bat in the house) was the non-reaction from the dogs. The dogs are great hunters; we have been gifted with several dead chipmunks, multiple birds, and have tangled with skunks three times (another carrier of rabies). Luckily, if they had been bitten, we have had them vaccinated for rabies. As you know, once infected, the disease is fatal and untreatable. Once exposed to a wild animal bite, an unvaccinated domestic animal that has been bitten or that has received a suspected bite wound of unknown origin must undergo a six-month rabies quarantine. Most often, state law requires that this quarantine be carried out in an approved animal control facility at the owner’s expense. Because the incubation period for rabies is usually less than six months, this quarantine period is meant to ensure that the animal does not have rabies before it is allowed to come into regular contact with humans and other animals again. If an owner is unable to comply with this law or cannot afford to pay for the mandatory six-month quarantine, the only alternative for the pet is mandatory euthanasia and testing for rabies. Is this likely to happen to you and your pet? No. Is it possible? Yes. Is it worth taking the chance? Again, the answer is no. After sharing this story among my friends, several had “bat in the attic/family room/out of the wall by the fireplace” stories to tell. One girlfriend had to move out of her home after a colony broke through the ceiling in her bedroom (Oak Park). Another had a bat crawl out of an air duct vent and circle the room as her infant giggled in an exersaucer (Downers Grove). I’ve treated countless bite wounds of unknown origin in animals over the years. Could any of these vaccinated pets have unknowingly been bitten by a bat? Do I have your attention???? If so, Happy Holidays and may this never happen to you! A reminder that we will be closed on December 24th-26th, so please place any food orders, prescription medication orders and requests for vaccine records soon. Does your pet need vaccines prior to grooming or boarding? There is still time! I hope you have a safe, happy, healthy, and dare I say warm season. As always, Dr. Lauri Safford, Sarah, and I are truly grateful to be allowed into your homes and privileged to care for your family. Please visit our webpage: www.thewelcomewaggin.com for any Rx or appointment requests and our blog: https://thewelcomewaggin.wordpress.com for more fun reading! I am often asked, “Do I really need to vaccinate my pet? She stays indoors except for brief, supervised periods on the deck or on the screened-in sun porch”. I also hear, “Our dog never has exposure to raccoons. He is only goes outside to urinate and defecate”. Consider the following statistics and decide for yourselves whether safe, effective preventatives and vaccines make sense for your pets. Remember, it only takes one animal bite or walk through damp grass harboring bacteria to expose pets and humans to potentially fatal disease. Common carriers of infectious diseases include raccoons, deer, rodents, and skunks; as the human population increases and we move into these animals’ territories, so does our exposure to the pathogens they carry. • Skunk rabies has been reported in Texas and Missouri. A cow has tested positive for fox rabies in southern Illinois; both the skunk and fox populations have doubled in 2013 and 2014. 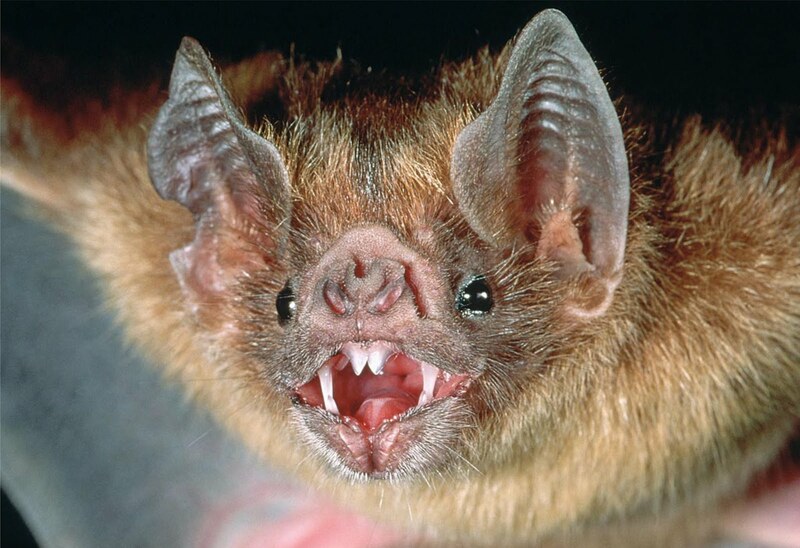 • 63 bats tested positive (or 4%) for Rabies in Illinois in 2012. Over 40,000 each year receive rabies post-exposure prophylaxis treatment. Bat bites can be tiny and often go unnoticed. It is also important to recognize the flaws in reporting of animal disease; veterinarians lack the support system of our human counterparts. The CDC only requires veterinarians to report cases of rabies, not all communicable or zoonotic disease incidences. How much do we underestimate the actual presence of rabies, leptospirosis, heartworm, and other parasitic or infectious diseases in our midst?